Is it any surprise that the Globalist Jesuits are calling for Kavanaugh to withdraw? ROME (AP) — The magazine of the Jesuit religious order in the United States has publicly withdrawn its endorsement of Judge Brett Kavanaugh as Supreme Court justice following testimony before the Senate Judiciary Committee by the Jesuit-educated Kavanaugh and the woman accusing him of sexually assaulting her decades ago. 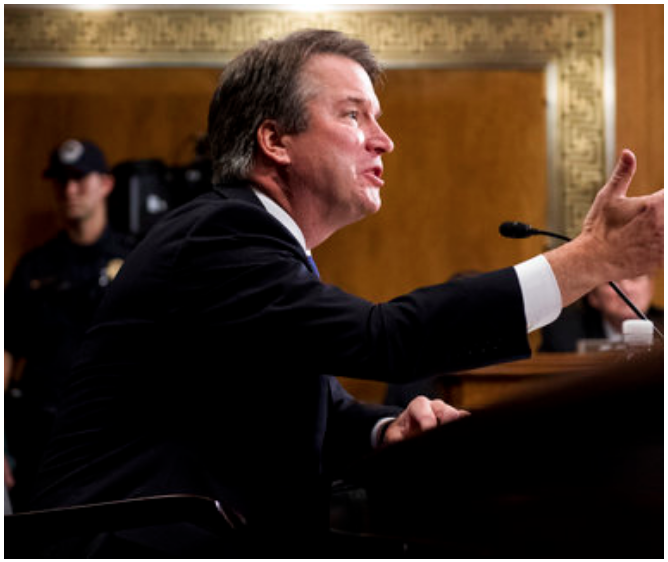 The reversal is significant given Kavanaugh has repeatedly cited his Catholic faith and Jesuit education in defending himself against Ford’s accusations. In his opening statement Thursday, Kavanaugh twice referenced his days as a student at the Jesuit-run Georgeown Prep high school in Washington, when Ford said the alleged assault occurred. America in July had endorsed Kavanaugh on the grounds that he might have provided the Supreme Court with the vote needed to overturn Roe v. Wade, the 1973 decision that legalized abortion nationwide. The Catholic Church firmly opposes abortion. “Anyone who recognizes the humanity of the unborn should support the nomination of Judge Kavanaugh,” the editors entitled their July 9 editorial, before Ford’s accusation was made public.